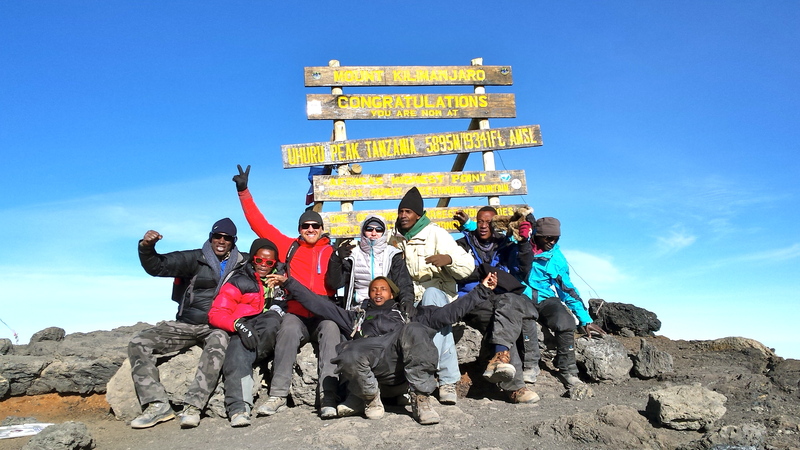 About Us — Just Kilimanjaro (T) Ltd.
We are committed to provide the best trekking services on Kilimajaro. To be the trekking agency of choice. 2016 was a remarkable year for us in many ways. But without a doubt, the highlight was being noticed and recommended by Lonely Planet! Happy days! It is such a special feeling when your customers feel this way about you and your organization. It underlines the importance of our dedicated crew and the management. But this would not have been possible without you. It was your word-of-mouth and wonderful comments, likes, photos and blogs. It was your feedback and ideas that has shaped the way we operate each climb. Thank you. You made this possible. The opportunity to take you up, show you great hospitality and provide you with an experience that last a lifetime is all we look for trek after trek!To us, it means we are in the right direction! With the New Year upon us, we are entering 2017 with a spring in our 'pole pole' steps. We look to build upon this confidence to make us grow stronger and stronger for years to come. Here's to 2017 from all of us at JUST-KILIMANJARO!